Program Attended by both Part Time and Full-Time research scholars. Most of the IIFT PhD Scholars are placed highly in reputed academic Institutions and Universities, Govt. Departments and Leading Corporate Groups. To encourage publication of research papers in academic journals, occasional papers and monographs, books and other refereed forums. Minimum knowledge of spoken and written English is essential; or there is no scholarship, residential / hostel facility available for overseas scholars in the Institute. Stage I: All the eligible candidates will be called for the Written Entrance Test, comprising of Basic Statistics, Logical Reasoning, Data Interpretation, basic Mathematics (up to 12th Std.) and the Descriptive Test to judge the writing skill of candidates on a subject-specific contemporary issue. It is important to note that the Written Entrance Test is a screening test. Stage II: Candidates who would qualify in the Written Entrance Test will be called for the Interview. Written Entrance Exam will take place both at Kolkata and New Delhi campuses of the Institute. However, the Interview for the qualifying candidates will only be conducted at the New Delhi campus. 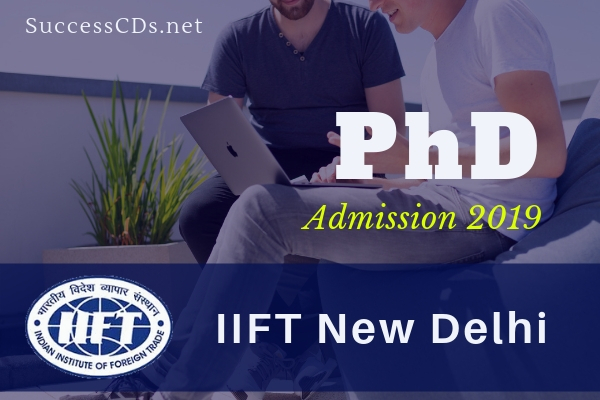 Application Form and Brochure for the Ph.D. Programme can be downloaded from the website www.iift.edu.